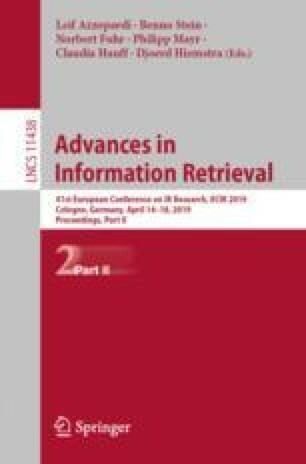 The Bibliometric-enhanced Information Retrieval workshop series (BIR) at ECIR tackles issues related to academic search, at the crossroads between Information Retrieval and Bibliometrics. BIR is a hot topic investigated by both academia (e.g., ArnetMiner, CiteSeer\(^\chi \), DocEar) and the industry (e.g., Google Scholar, Microsoft Academic Search, Semantic Scholar). An 8th iteration of the one-day BIR workshop was held at ECIR 2019.